Toll free numbers are a fixture in the business world, with a history that reaches back almost 50 years: that’s many lifetimes ago in telecommunication terms. The first “automated collect call” number was introduced by AT&T back in 1967. 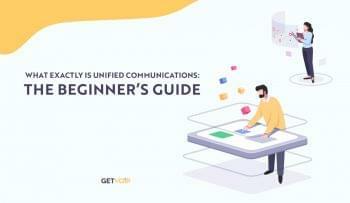 You could be forgiven for thinking in this world where long-distance charges seem like a thing of the past, where unlimited cell phone minutes and VoIP have completely changed the industry, that 1-800 numbers were just an outdated relic. You could be forgiven, but you’d still be very wrong. Those 1-800 numbers are still big businesses, and they are still regarded as valuable assets to those who use and deal with them every day. If you’re considering joining their ranks, you’re bound to have a few questions. Does your company need a toll free number? What is it good for? How much does it cost, and most importantly, what’s the best way to get one? Before we plunge into the nitty gritty details of how to hook your company up with a toll free number, it might be helpful to review how toll free phone numbers work, how they’ve changed in recent years, and the benefits they can have for your business. Toll Free Numbers: The Science Behind It! The history of the 1-800 number is fascinating to telephony geeks like us, but all you really need to know is that toll free numbers aren’t really free. They were originally set up as a courtesy to customers, in the day when making any phone call could mean a hefty charge, especially if it was international. With a toll free number, the business getting the call paid the charges instead of the caller. In the early years, the toll free rate was pretty extortionate, several times the cost of a regular call, so 1-800 numbers were generally only used by big companies who could absorb the bills. After a monopoly ruling in 1984, competition went bezerk, and phone calls got a whole lot more affordable. The use of toll free numbers became accessible to a much wider range of businesses. When toll free numbers were first introduced, they were the property of one specific service provider: you just rented them from the carrier. If you decided to change service providers, you had to leave your number behind. In 1993, the FCC ruled that all 1-800 numbers must be portable. This was great news, especially for businesses with vanity numbers. The SMS/800 Platform (now known as SOMOS) was created to be a central database and administrator of toll free numbers. With all of these positive developments, the use of toll free numbers exploded, so much so that the 1-800 numbers ran out and the FCC reserved more 800 prefix numbers, from 822 to 888. Somos now holds the the FCC SMS/800 Functions Tariff for the management and administration of toll free numbers. They certify Toll Free Service Providers, also known as Responsible Organizations (RespOrgs for short) which can access the central database of toll free numbers in order to assign them to businesses. 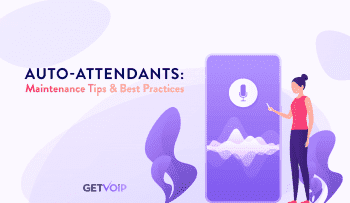 Originally, most RespOrgs were usually traditional telephone carriers, but now many business VoIP and cloud-based service providers are becoming RespOrgs in their own right. Now that you know the hows of toll free numbers, let’s take a look at the whys. Toll free numbers are professional. Getting your own 1-800 number legitimizes you in the marketplace, but most importantly, they give your business a national presence. If you ship anything or serve anyone outside of your immediate local area, a 1-800 number signals that you do business all over the country. They are super scalable: if you’re a one man operation, you can just have it forwarded to your cell. As your business grows, it’s simple to transfer the same toll free number to a professional PDX. Toll free numbers are an exceptional marketing tool. Print a 1-800 number on all of your marketing materials, and you’ll make it easy for all of your customers (or potential leads) to call you from anywhere. Even though there aren’t many people who pay for long distance anymore, psychologically a 1-800 number is still powerful. People think “Well, it’s free to call!” and don’t hesitate. If you manage to snag a vanity number, the benefits are exponential. The “Consumer Recall Rates of Phone Numbers in Advertising,” report published by the RespOrg 800response in January, 2008 found that survey participants were 84% more likely to remember a vanity number than a numeric phone number from billboards or TV commercials. In a 30 second radio ad, 72% of participants could recall a vanity number, compared to just 5 percent who could remember a numerical toll-free number. Multiple 1-800 numbers are excellent for testing your marketing campaigns. Assign a toll free number to each campaign and track which gets the most response. Toll free numbers are an island of familiarity in a mobile world. That’s a slightly dramatic way to phrase it, but it’s true. A 1-800 number centralize things, no matter how many locations you have or how scattered your remote or mobile workforce may be. Just use one contact number and keep things simple for customers. Because the toll free number you buy can move with you, it doesn’t matter if you relocate or switch service providers. You never need to change your number. No need to order new business cards! There’s really only one way to get a toll free number: contact a RespOrg and buy one. Prices and plans vary between providers, so it pays to shop around. Remember that you will keep your number even if you change carriers, so don’t feel limited by the numbers you see available from your current provider. You can always buy one from another RespOrg and transfer it. The cost of a toll free number depends largely on the provider. They allow you to select a number from your database and then charge you a fee for connection. How much the toll free number costs you from there will depend on your plan, which generally charges by the minute. We took a look at the top 10 biggest names in the space and compared their toll free number offerings to give you an idea of what you can expect from their most basic packages. Toll-free numbers are sold on a first-come first-serve basis, and it’s illegal to buy and hoard good numbers to resell for premium prices. The bad news is, if you want a memorable vanity number, you’re probably going to have to be creative….or risk dealing with a shady seller. Illegal number sales happen all the time, especially in the world of vanity numbers. 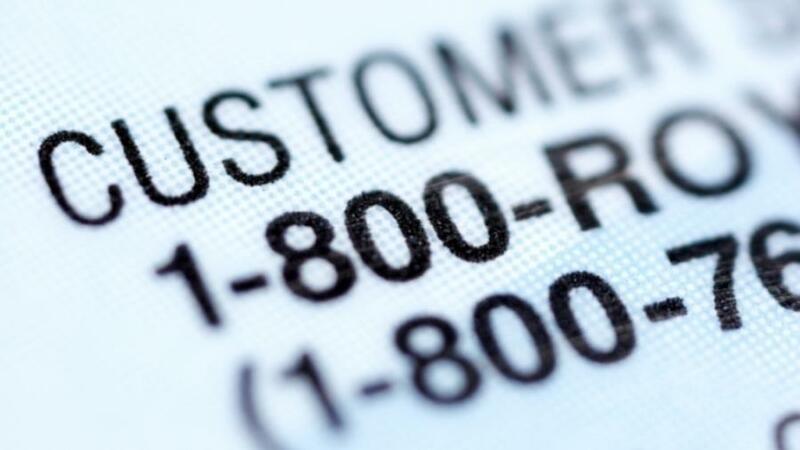 The prefix of your toll free number, as of this writing, may be 800, 888, 877, 866, 855, or 844. Each prefix creates a separate number, so 1-800-CUPCAKES is a completely different toll free number than 1-888-CUPCAKES and so on. The “younger” the prefix, the more available numbers it is likely to contain. Since 1996, 888 through 844 have mostly been assigned, in reverse order, while 833 and 822 are being advertised but not yet allocated. If there’s a vanity number you really really want that’s not available in an earlier prefix, you might be able to snag it in an upcoming prefix. When you’re brainstorming possible vanity numbers, you want to hit a sweet spot between memorable and original. You might not be able to reserve 1-800 CUPCAKE but 1-844 TINY CAKE could be a possibility. Weird and unique spellings aren’t a smart hack, because they may confuse customers. 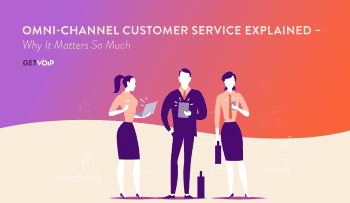 Along with email, social media, and your good old landline, a toll free number is just one more way to create a connection with your customers. These days they are more affordable than ever, and what’s great is that they grow with your business: when you only have a few customers calling, your bills are small, and when your toll free number is ringing off the hook, you’ll have all the customers you need to cover it. Toll free numbers are still relevant to the way we do business today, though they are being used in new and innovative ways, in concert with the new technologies which might have replaced them. When tied to the power and flexibility of a virtual PBX, the possibilities are endless.